The church and its hall are available to hire by amateur, student and professional performers. You can find details about booking the church and hall via the Bookings page. 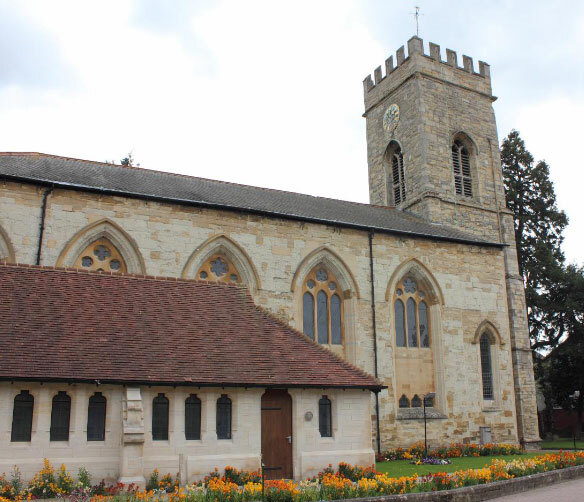 St Mary and St Giles church is attractively located in the middle of the busy High Street in the historic coaching town of Stony Stratford, in the northern part of Milton Keynes. 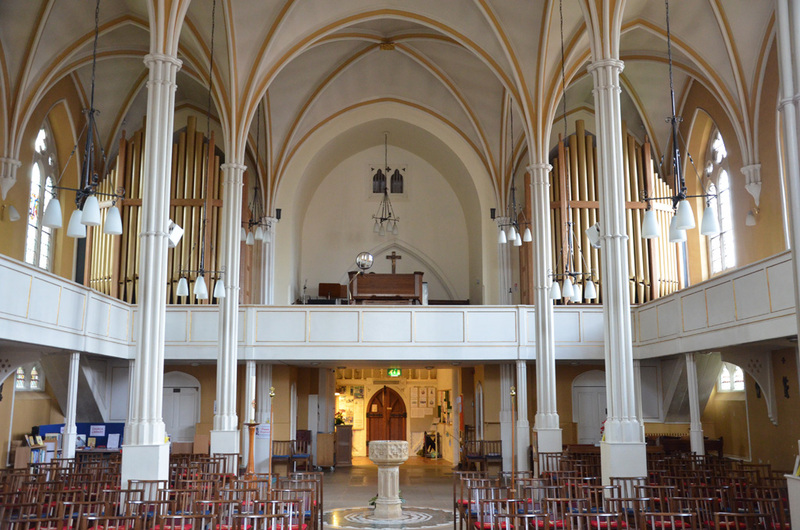 See Getting to St Mary and St Giles Church for location details and a map. The town has a wide range of good local restaurants, pubs, shops and pleasant town and riverside walks. The church has attractive gardens and there is ample local free parking nearby. The church is light and bright, with a Strawberry Gothic interior, soaring slender columns and an unusual three-sided gallery surrounding the Nave which provides an uplifting and rewarding space for performers and audience. The acoustic in the church is warm and rich and has been judged by many over the years to be “wonderful”, and “good enough for recording”. Music for All @ SMSG has hosted hundreds of events in support of the organ restoration and future development of music in this place. Music for All @ SMSG is run by volunteers who are passionate about music, its importance in our daily lives, and its impact on wellbeing. We look forward to welcoming you to this wonderful performance space.